Today we welcomed an 8 year-old, 53 lbs., Shepherd Terrier Mix named Sister Mary. She seemed as if she were ready to go and meet the others as soon as she arrived for her assessment. 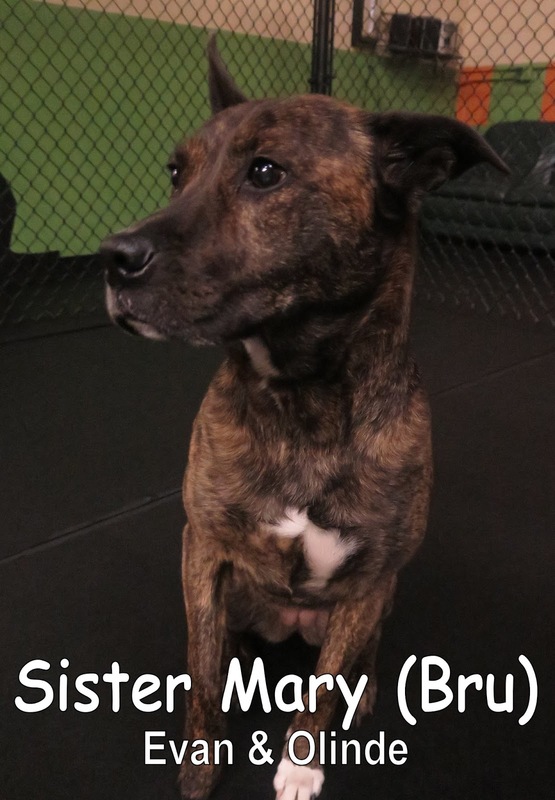 Throughout her stay here at The Fort, we had Sister Mary within our Medium Dog Program. She was up and at it socializing with the rest of the pups today and showed some good leadership skills during her time spent here. She spoke with the others well and we look forward to seeing her return for more good times soon. Yesterday we had the pleasure of meeting Kane. He is a one-year-old, twenty-seven-pound, Corgi/Red Heeler Mix. Kane joined the medium dog program here at the Fort. He had a great time playing with the other dogs. Check out this clip of Kane playing with his new best friend Captain. He is welcome back anytime. These rascals were just too cute and we were able to snap some pictures of them. Take a look at them below! Adeline using her chewing powers! I hope you enjoyed the pictures of all these pups! Hey all! Check out some of these interesting links. Labrador Retrievers are still the "top dog" in the U.S. but French Bulldogs are quickly rising in the ranks! These Corgis have a royal life in England with their owner, The Queen. Check out some of these dog surfers! Hope you enjoyed the links! This morning we welcomed Mei Mei to the Fort. 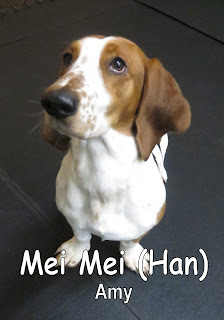 She is an eleven-month-old Basset Hound. Mei Mei joined our medium dog program, where the first dog she met was Georgie. The two of them immediately became friends. Yesterday we met Blue Maple. 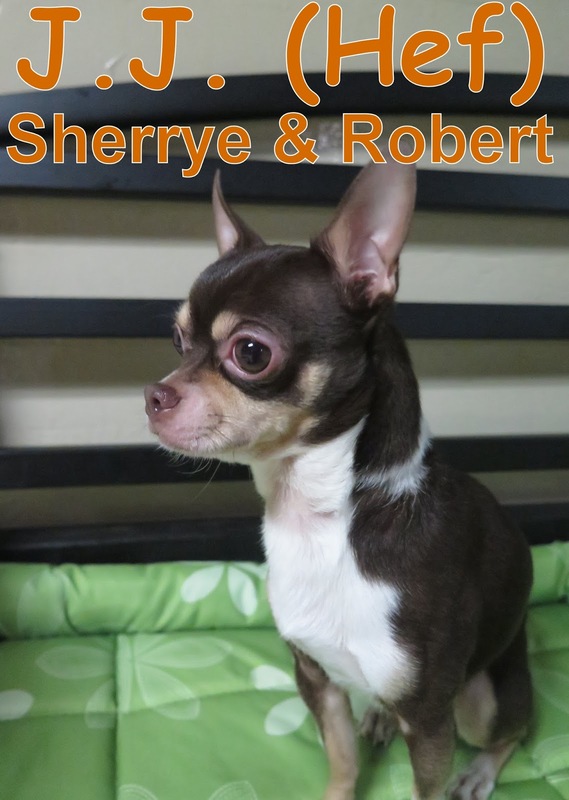 He is a one-year-old, eight-pound, Chihuahua/Papillon Mix. Blue Maple enjoyed his first day here mingling with the small dogs. They are both welcome back anytime, and we hope to see them again soon. Welcome J.J. to The Fort! 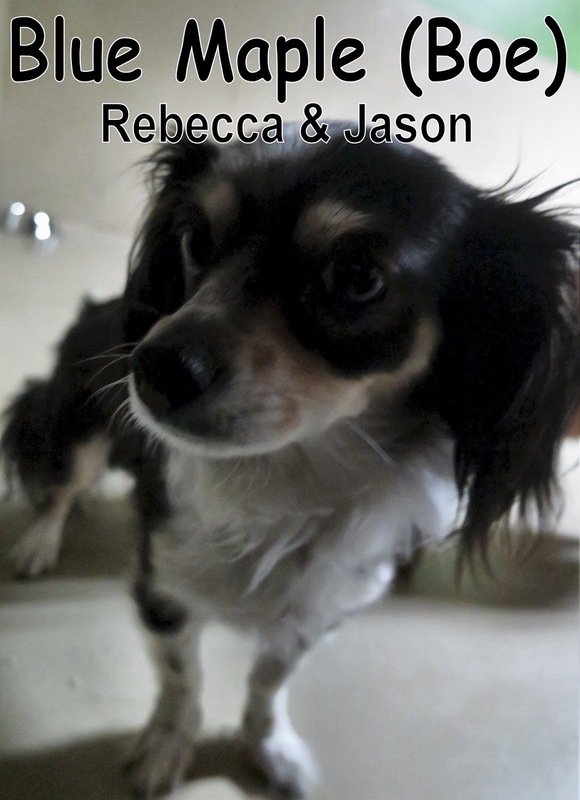 J.J. is a 4 lbs., 4 year-old, Chihuahua. We saw his nose peek through the front door bright and early. He slowly made his way up the stairs and into our Small Dog Program. As soon as he entered, J.J was walking and sniffing about exploring the facility. Soon after he had entered, he began to meet the other pups. We saw him make new friends and that had an exciting adventure throughout his day here. We hope to see J.J. return soon to make more friends and have fun. 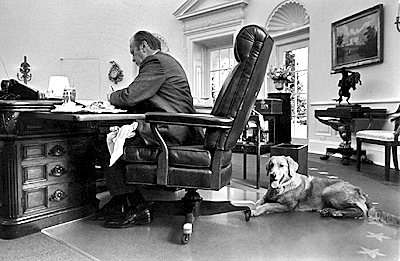 Happy Presidents Day! 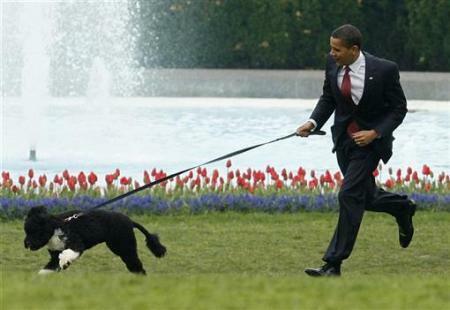 Our Presidents love dogs, take a look below! This morning we welcomed Axl to the Fort. 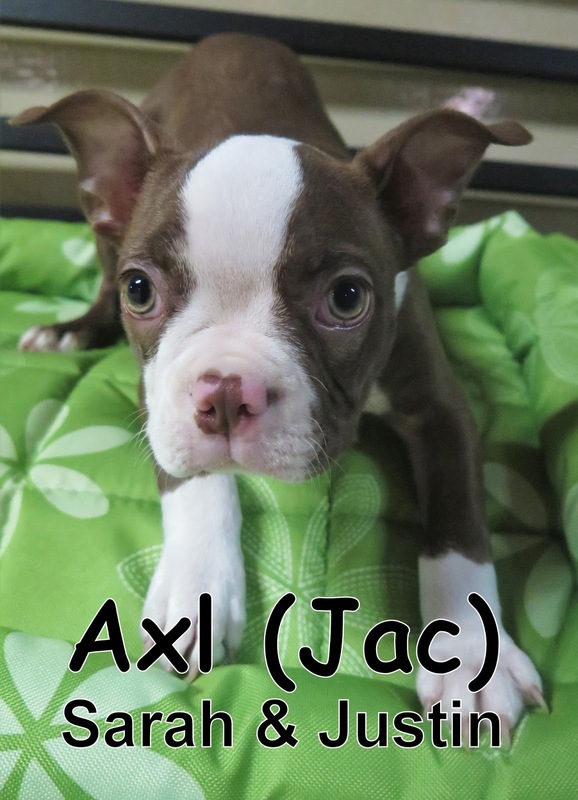 He is an adorable twelve-week-old, nine-pound, Boston Terrier. Axl started out in our small dog program, where he had a fun first day playing with the other dogs. 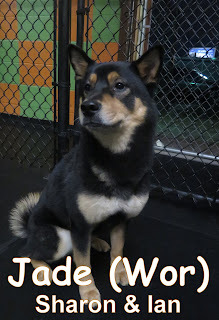 Jade came in for her assessment yesterday. She is a beautiful four-year-old, twenty-five-pound, black and brown Shiba Inu. 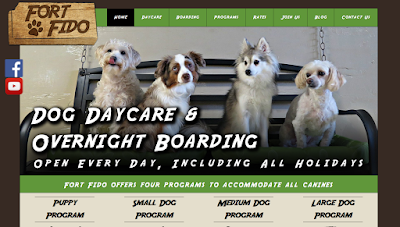 Jade enjoyed her first day here at the Fort mingling with the other dogs. Both Axl & Jade are welcome back anytime. Welcome Mimi! She is a 8.5 lbs., 1 year-old, Terrier Mix. 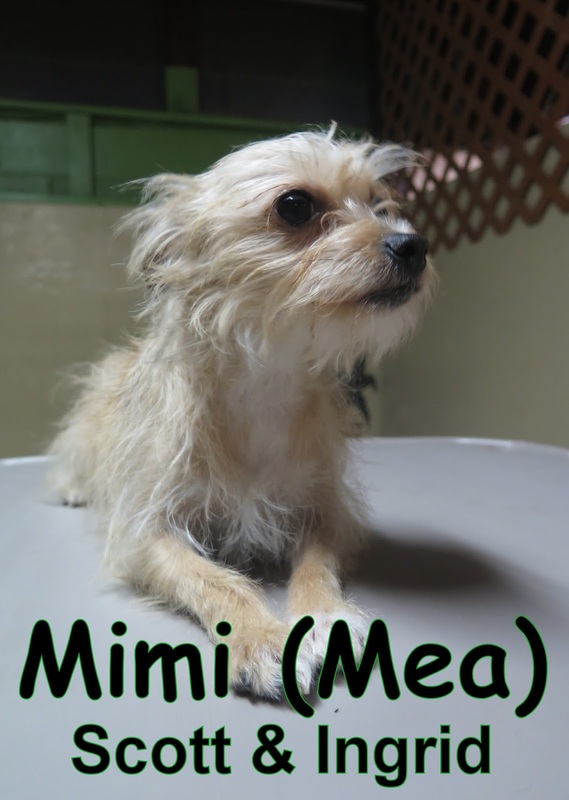 Just like her brother Eddie, Mimi came into the Fort confidently and made her way into our Small Dog Program. Once there, she began to communicate and mingle with the pups as soon as they came in. She showed good dog-talk and got along with the pack throughout her time here. Mimi seemed to enjoy her time spent with us and we look forward to seeing more of Mimi & Eddie. 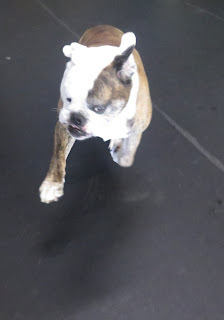 Molly jumps after the ball! 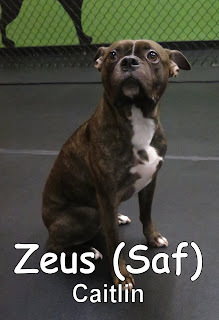 This morning we had the pleasure of meeting Zeus. 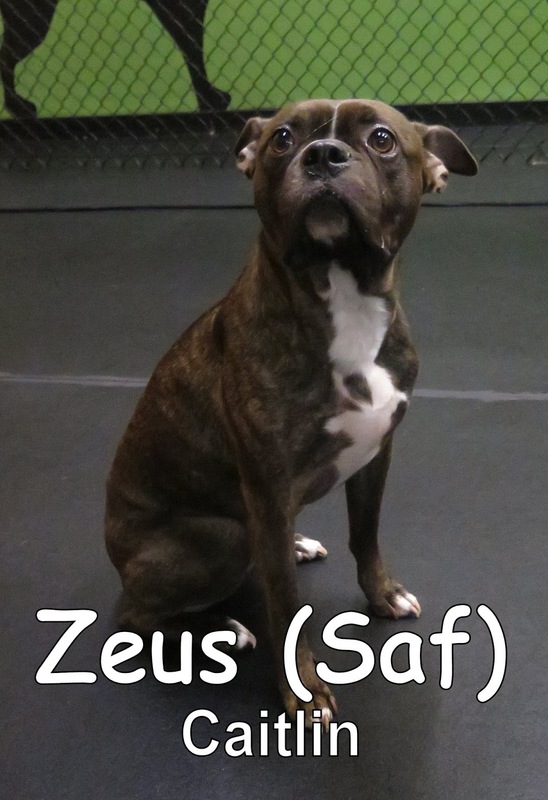 He is a five-year-old, thirty-seven-pound, Boston Bulldogge. 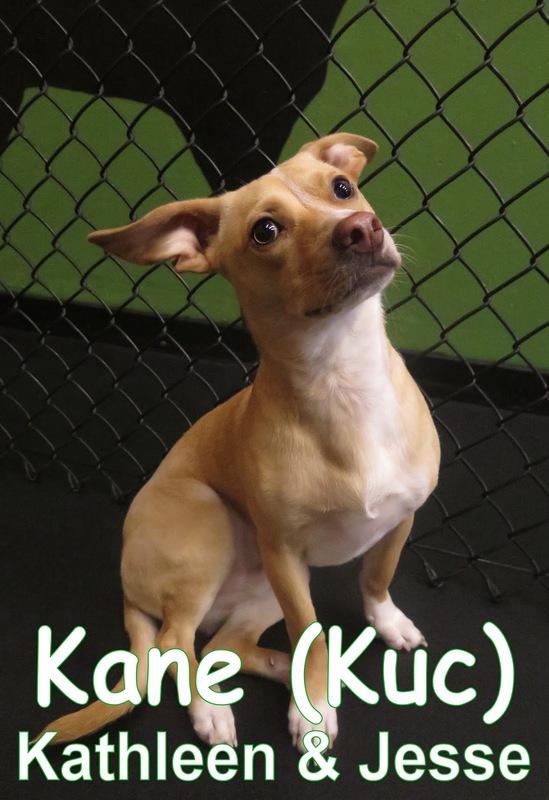 He started out in our medium dog program, where he quickly made friends with the other dogs. Here is a clip of Zeus playing with his new best friend Frankie. 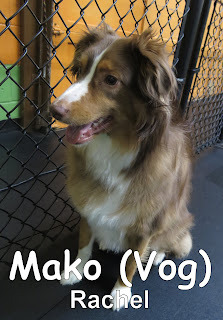 Mako came in for his assessment yesterday. 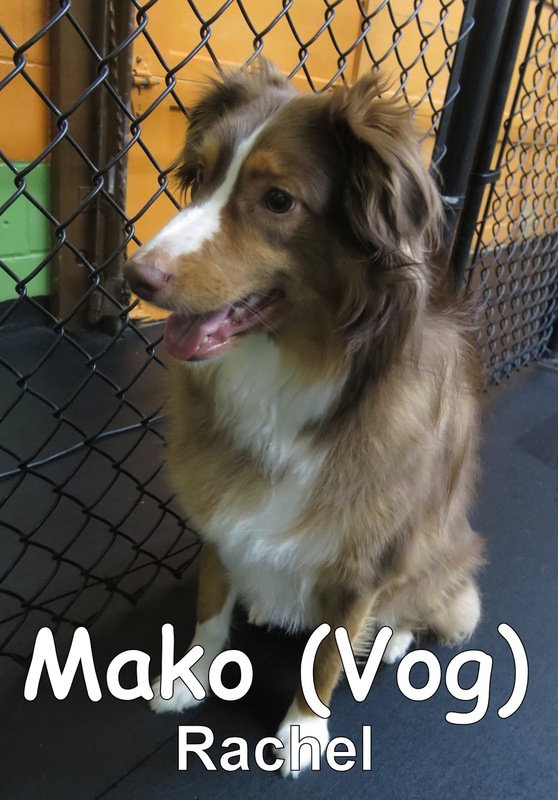 He is a one-year-old, forty-pound, Miniature Australian Shepherd. 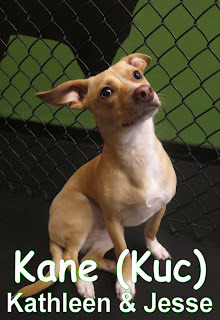 He joined our medium dog program, and enjoyed mingling with the other dogs. They are both welcome back anytime, and we look forward to seeing them again soon. New look and a Biscuit! In other news, today we assessed Biscuit. 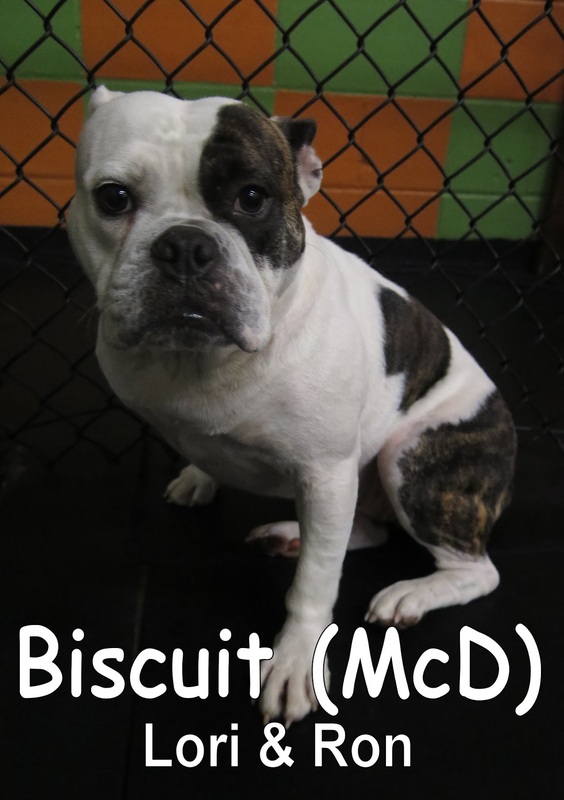 She is a 2 1/2 year-old, 45 lbs., English Bulldog. 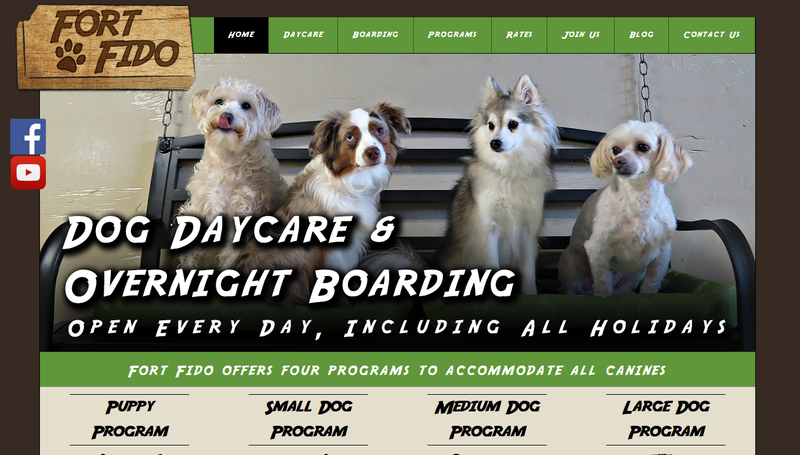 Biscuit slowly entered Fort Fido and joined our medium dog program. She spent her time mingling with the pack and getting to know her surroundings. Biscuit may not know that her brother, Lucky, has been attending The Fort. We hope to see them both here soon. Louis takes off in the large roll and lets his inner puppy loose!